Review: Kirby – Planet Robobot (3DS) ~ Kirby Goes High-tech! Last week, when I was working on the review of Kirby Epic Yarn, I have beaten the newest Kirby game called Kirby Planet Robobot. So, I thought, why not review it. Two Kirby reviews in a row, why not? This game is the 14th main installment in the Kirby series. It’s based on the engine of the previous Kirby game on 3DS called Kirby Triple Deluxe. A game I’m planning to review soon too. In any case, I’m getting off topic. Time to dive into this high-tech Kirby game and let’s see what it’s made off. And as usual, feel free to leave a comment with your opinions on this game and/or the content of this article. 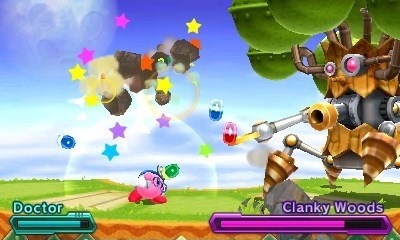 In this game, Kirby’s home planet gets attacked robots. In contrast to the title of this game, Kirby doesn’t travel to a different planet. In this entry, the story is a bit disappointing. I’m not saying it’s badly written. It’s badly paced. Apart from the opening scene and some dialogue in some boss fights, the actual story opens up right at the final boss of the game. This is a huge let down in my eyes. Since it feels absent and felt forced into the game. So, there was a lot of missed potential with this game! Also, you will miss some jokes if you aren’t familiar with the Kirby games. If you don’t know who is who in the Kirby series… Well, some dialogue before the boss fights won’t make a lot of sense. This game consists out of 6 worlds. Yes, only 6 worlds. Well, six and a half. Since there is a world 7, but that’s the world for the final boss fight. This game is very short in my opinion. I was able to beat this game in under a week. While the Kirby games are known for being easy platformers that kids can get into, this game provided almost no challenge. Also, normally a Kirby game has 7,5 – 8 worlds. I feel that some content is cut here. The challenge came from trying to collect all the tech cubes. While some are pretty well hidden, others are in plain sight and easy to grab. And when you grab one or two cubes in each level, you are able to get to the final boss. Speaking of which, I found it quite annoying you were unable to see how many cubes you had to collect in order to open the boss door. You were able to see it when you were right in front of it. The gameplay in this game is quite similar to Kirby Triple Deluxe with a few changes. Instead of the Super Nova Kirby, you have a Tech Kirby. Kirby that rides a huge enemy robot. In some levels, there is another style of gameplay. 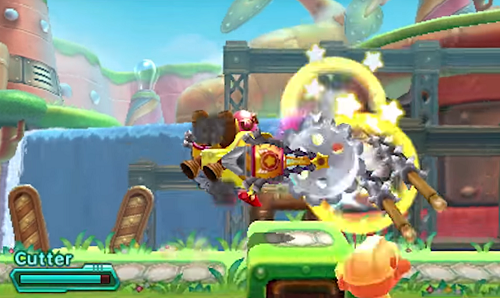 When Tech Kirby acquires the Jet power-up, you can fly away and play a sort of side-scrolling shooters. These levels were the most fun in my eyes. Like I said previously, the gameplay is quite similar to Kirby Triple Deluxe. So, that means that this game has quite similar controls. I liked the controls of that game, so I found no issues with the controls of this game. Well, no major issues. I found the copy ability of Tech Kirby quite annoying to use. You had to stand a certain distance in order for you to copy their ability. That’s the biggest issue I had to with the controls. Another issue I had with this game is when you sucked up two enemies from which you can copy the ability. In almost every previous Kirby game you got a random power. That random power could also be a different one than the ones you inhaled. In this game, that doesn’t happen. From what I have seen, this game picks the first enemy you inhaled. The visual presentation of this game is amazing. 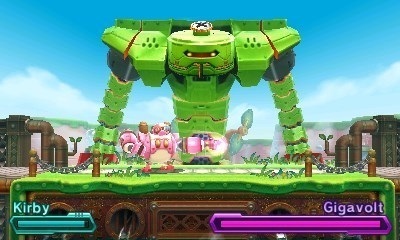 In this game, you play on Kirby’s home planet that’s invaded by robotic creatures. So, you get a planet where technology is slowly creeping in. And the presentation shows that nicely. The animation in this game is high quality as well. Not only the animation of the enemies, bosses and everything in the foreground. The animation on the background visuals makes the world come alive and feels real. The soundtrack of this game is amazing. With familiar and new tracks, this soundtrack is one I might add to my library. The sound design is amazing as well. Because I played most of this game on the train to work, I played this game with headphones on. And it helped to pull me into this game. The UI is quite well designed in my opinion. I have only one minor nitpick. That’s that there is a useless button on the touch screen. That is: “Drop ability.” Since the X-button does the same thing. You use the other buttons anyways, so why tap the button on the touch screen? Another minor issue is the steps you need to take in order to return to the mode selection screen. When you are in a level, you have to press start 3 times before you are back. A simple pause menu might have solved this. 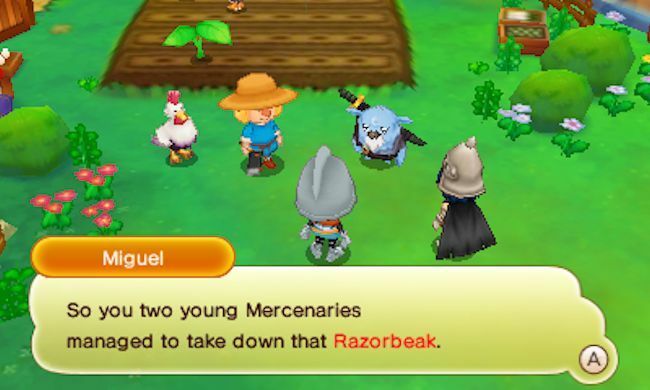 The mini-games in this game is a mixed bag. Don’t get me wrong, they are fun to play, but there is so much missed potential. Both of them are quite short and can be beaten in a half hour. I hope that they expand on the mini-games like they did with the ones of Kirby Triple Deluxe. Something I’m on the edge about is the stickers. You can collect them throughout your adventure. And you can collect each sticker twice. When you collect a sticker in a level, you don’t know which one it is. It will get revealed after you have beaten the level. You can also stick them on Tech Kirby’s robot. So, those sides change in cutscenes. This is a real nice idea. But it’s all for show. There is no gain to it. There are some people who like that. After you have beaten this game, you get similar rewards than in Kirby Triple Deluxe. You can run through a remixed version of the Kirby with Mecha Knight and you open up an arena. The arena is just a boss rush mode. I got bored of it rather quickly. But I loved the Mecha Knight mode. Since it provides a bit more challenge to the gameplay. The two new copy abilities in this game are doctor and ESP. While I found them fun to use, I didn’t use them during boss fights. Since I found them difficult to control in tight situations and didn’t fit my playstyle at all. In any case, I have said everything I wanted to say about this game. So, it’s time to wrap this review up and head to the conclusion of this review. + The Tech Kirby was fun to play with. + Great soundtrack and sound design! -Some repetition in the levels. -Way too short. Both the main campaign and the mini-games. -Lacks some minor polish in the UI and controls. This game is fun to play and provides some quality entertainment but it’s isn’t the best game I have played all year. I have played a better Kirby game on the 3DS, called Kirby Triple Deluxe. This game is fun in short bursts. It’s perfect when you are on the bus or waiting for something. There is a lot of missed potential with this game in my eyes. There could have been a lot more to this game. I could expand on this, but the start of these final thoughts have explained it all pretty well. In any case, I hope you enjoyed reading this as much as I enjoy writing this. I hope to welcome you in another article but until then, take care and have a great rest of your day! Take care~! This entry was posted in Articles, Reviews and tagged 001, 2DS, 3DS, adventure, arpegi, critic, cubes, data, deluxe, game, gameplay, games, goes, Hall, high, information, jea, Jonez, jonez001, jonezjea, kirby, Labs, more, negatives, neko, NekoJonez, new, Nintendo, opinion, own, perfect, planet, review, robobot, sequel, tech, triple, walkthrough on July 15, 2016 by NekoJonez. I have to talk about this game. It’s the sequel to the game I started this blog with. On the 20th of March 2013, I reviewed Tomb Raider. Now, three years later in 2016, the PC port of the sequel finally arrived. I would have reviewed this game sooner, but due to the patches, my performance was going down the drain. The weakest link in my PC is my graphics card. My CPU, RAM and all other parts of my PC are up to speed with this game, but my graphics card gave me issues. So, after experimenting and trying out different things, I was finally able to play this game with a fluent FPS. Thanks to windowed mode and normal graphic settings. In any case, that’s enough of the behind the scenes stuff! Time to rate this tomb, is it really worth the adventure or is this one better left forgotten? And as usual, feel free to leave a comment with your opinion on the game and/or the content of this article in the comment section down below. At the center of the story, is the divine source. Something that Lara wants to find to prove that her father wasn’t crazy. The story uses a lot of cliches this time around. Also, some people can see some plot twists coming from a mile away. That’s why the story wasn’t all that interesting to me. It was enjoyable but bland. In my opinion, it could have done a lot more with the story. My biggest issue with the story is that some characters didn’t get any development. Thankfully, the writing is very well done which makes up for the middle of the road story. Something that’s even better is the voice acting. The voice acting made some characters come alive! Guys and girls, if you are ever to make a sequel to this game, more of this top notch voice acting, please. I have explained in the introduction of this article that my graphics card wasn’t strong enough to run this game at it’s highest settings. But, at the normal settings… This game looks jaw-dropping. But I have to say, that in the latest version of the game, I rarely saw these odd things happening. The design and the animations of this game are amazing. Yet, this game had issues with performance. Between the release of the PC port in late January and today (mid-May), there have been 6 big patches to the game, mostly all to improve performance. Strangely enough, each patch, my performance wasn’t improving. But, since then, I didn’t have any PC/game crash. Yes, this game crashed so badly that it shut down and rebooted my PC. Anyways, I’m not going to let this become a long rant about performance. The game is visually stunning and looks great. The animations are amazing as well. Also, the game feels bigger and bigger than the reboot. There is one thing I didn’t care about in this game and that is the card collecting thing. It bugged out on me several times and I stopped caring. Why do I bring this up now? Since it’s the only negative when it comes to menu design. Such a shame, since we got such a great menu system. I really like how the game reloads your textures while you are playing when you set the visual settings higher and/or lower. It’s fun to see in my opinion. Also, I have to applaud the fact that everything is explained on the side when you tweak your options. In this game, most of Lara’s abilities return from the previous game. Apart from some differences, every weapon in this game is the same. One huge difference is made in this game. And that’s the health system. You can speed up the regen. Well, you can heal yourself. This eliminates the waiting to heal up and makes the combat a bit more intense. This game has a very similar gameplay to the reboot. Which is great, since I really loved the reboot. But in this game, there are side quests and challenge tombs. While I have beaten the main story, this game has still a lot to offer. The main game is around the 20-hour mark, but in my playthrough, I got 60% completion. So, it’s time to go looking for the things I missed. Also, in this game, you can learn foreign languages. So, sometimes you can’t decipher a scroll since you aren’t strong enough in ancient Greek. This little mechanic makes the game even more fun. This game can be pretty difficult from time to time. I remember one area, I had to redo a couple of times. I have to mention, that I didn’t play on the hardest difficulty. If you are looking for a challenge, this game can give you one. Before I forget, this game has an additional story DLC. I haven’t beaten it yet, but from what I have already played, it’s very interesting and fun to play through. The controls of this game are excellent. Lara controls fluently and I didn’t make many changes to the default control scheme. I only had minor issues in the menus, but after I got used to them, it didn’t bother me too much. To close off this review, I have to talk about the music and sound design. In last week’s article, I have already talked and praised the music. The music in this game is amazing. It really sets the mood for the game. Also, the sound design is nice as well. I have nothing to complain. I played this game with a headset and sometimes I felt like I was really there. The visuals and the sound design are that good in my opinion. In any case, I think I said everything I wanted to say about this game. Time for the conclusion. -Annoying performance issues with weaker graphic cards. -Game crashes can cause a PC reboot. -The story uses a lot of cliches this time around. -The card game part. WHY? + The game is a good challenge. Both in combat, puzzle solving and feeding goodies. This game is so close to being perfect. There are some parts of the game I haven’t reviewed. Like the 2nd game mode. The expeditions. That’s because I haven’t played enough of it to review it. So, that’s a surprise for you if you are interested in this game. If the story was a bit more fleshed out, I would have given this game full marks. Most of the visual issues I had were fixed in the various patches this game got. I recommend this game, but check before you buy since this game requires very high PC specs. And when you buy and play this game, be ready for a thrill ride from start to finish! This entry was posted in Reviews and tagged 001, arpegi, bad, card, cliche, compare, crash, enix, fast, fix, gameplay, graphics, information, is, issues, it, Jonez, jonez001, jonezjea, more, negatives, neko, NekoJonez, Of, overheat, patch, pc, performance, Preview, Raider, release, review, rise, screenshots, square, story, The, Tomb, travel, visuals, weak, what, with, worth on May 20, 2016 by NekoJonez. As a kid, I had a PC game called Rayman M. I enjoyed it from time to time, but my real interest with Rayman started when I heard so much about it from the YouTubers I watch and the other blogs I read. When my family was asking me what I wanted for Christmas, I gave them a whole list of Wii U titles I’m interested in. Honestly, I placed this game as an afterthought. But on the 1st of January, my grandparents surprised me with actually buying this game for me. I played a few levels just for fun, but then I stopped playing. But at the start of February of this year, I was together with my friends for a whole week and this game… Man, it changed the whole week. I think it’s time to take a good look at this game and talk about what I think of this game. Oh, and as usual, feel free to leave a comment with your opinion on the review and/or the game in the comment section underneath this article. This game is a platformer. I haven’t played a lot of platformers, so in this review, I’m going to judge this game purely at what experience it gave me. This game’s story, was in my opinion, a sort of an after-thought. The story is rather absent. Because this game is a sort of gallery of smaller separate games. Compare it to Kirby Super Star on the SNES. It has a compilation of different Kirby games which each have a separate story. If you are into platformers with a decent story, you aren’t going to find it here. But it’s no negative for this game. The reason for that is, the game’s charm and presentation is enough to make a fun experience. Everything in this game has meaning. Every collectable, every level and every challenge. When you beat a level or collect a certain amount of teenies and/or lumps, you unlock something or something happens. And sometimes, more then just one thing unlocked. This makes the game very replayable. Since it’s very easy to miss a teensie in a level. They are hidden quite well. Too bad that missing one doesn’t stop you from reaching a golden cup on the level. This game is made with multiplayer in mind. Since in some levels, you can really benefit from a helper character. Also, this game is one of the few games I have played where the Wii U gamepad isn’t used as a sort of second screen for the game or something among those lines. When you play with more then one person, the person playing with the gamepad is a sort of helper character that needs to pull switches, move platforms or keep the characters from harm. And honestly, this can get pretty though. Sometimes, you need to react very quick. At the other hand, the people who are playing as the non-helping characters have some separate levels that tests their reflexes. These are mostly time challenges or stages where a whole building is collapsing. The two completely different playstyles is something I haven’t seen before that much. Surprisingly, it works flawlessly. I have beaten most of this game in multiplayer. And I can’t imagine how the singleplayer plays in some levels. Since this game is better played with at least one friend. Something I really liked about this game is the presentation. Each area plays and feels very different. You have stealth sections, you have fast moving sections, you have sections where you need to “eat through candy” and so much more. Every area is extremely colorful and some stages felt very creative. The animations of the stages and characters reminded me of the previous times I saw a Rayman game. They are really well done. I have no complaints there. There is one part of the design that I didn’t like that much. While you have a lot of playable characters, there are just too much clone characters. They don’t play a lot different on the surface. They are just the same character in a different skin to me. The levels that were the most creative to me are the levels where you needed to you were playing through a music song and famous songs at that. Black Berry by Ram Jam is one of the first I came across. They were so much fun to play. Speaking about music, the soundtrack and sound design of this game is very well crafted. The help to build the atmosphere of the game. In some levels I was actually sitting on the edge of my seat, cheering my friends on.. so we could beat that one level. The difficulty is something I’m on the edge about. Some levels are pretty cruel and are impossible to win when you make one mistake. But there is a problem in there. Sometimes the controls work against you. But then again, the punishment for dying is just restarting the stage or starting for the last checkpoint. I always felt like we could try again when me and my friends failed a level. Something that also provided hours of fun was the one true mini-game in the collection. The soccer game. It’s truly chaotic and it makes for hours of fun matches with friends. While I struggled with the controls sometimes, when I got the hang of them… It was extremely fun. And honestly, that is the biggest “issue” I have with this game. While the main campaign might be a bit short, the content that unlocks during the main campaign and the things you can collect gives this game a big replay value and makes the game have an amazing length. The last thing I want to say about this game is that for 20€ here in Europe, this game is a steal. The amount of content is just mindblowing. In any case, I think I have said everything I wanted to say about this game. It’s time for my conclusion. – The manual isn’t the best in this game. – This game loses a lot of its value in singleplayer. + The amazing replay value. + This game has an amazing design. From the visuals to the sound design. + You get a lot of content for your money. + The gamepad isn’t used as a gimmick. This game is one of the best and creative platformers I have every played. It brings some new ideas to the table for me. This game such serve as an example as an amazing platform game. Most of the issues I have with this game are nitpicks. I honestly had trouble saying any negatives about this game. If you want a real fun game for you and your friends, dust off that Wii U (or the console you have this game for) and play some Rayman Legends. For the cheap price of 20€ here in Europe, this game is truly a steal. I wasn’t expecting this much polish in a Raymam game of 20€, but I was more than surprised. Play this game for yourself! I highly recommend it to each and every Wii U owner. It’s really good. 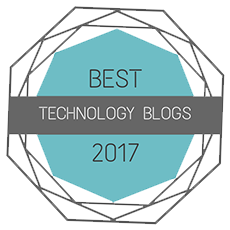 This entry was posted in Articles, Reviews and tagged 001, Amazing, arpegi, article, based, better, cheap, first, game, gamepad, impression, information, is, it, jea, Jonez, jonez001, jonezjea, legends, length, levels, more, music, negatives, neko, NekoJonez, Nintendo, on, opinion, original, Platformer, plays, rayman, review, song, that, The, U, ubisoft, walkthrough, what, wii, Wii U, with, written, wrong on February 28, 2016 by NekoJonez.